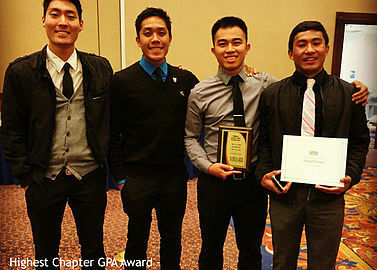 an Asian-American Cultural Interest fraternity founded at SUNY Binghamton in 1994. The mission of Pi Delta Psi is to break down cultural barriers by fostering individual growth in the areas of Academic Achievement, Cultural Awareness, Righteousness, Friendship and Loyalty. Today, this organization consists of over 1,500 members and 27 chapters! Pi Delta Psi is also a founding member of the National APIA Panhellenic Association (NAPA).